We're getting into the spirit of the Halloween season here at Khargo Tip Jars with three new spooky releases! This weekend only we are reducing the price of the Personal Tip Jar version of all 3 new releases to just 150L$ for 48 HOURS. Look for the special Countdown Vendors at our In World Store ! 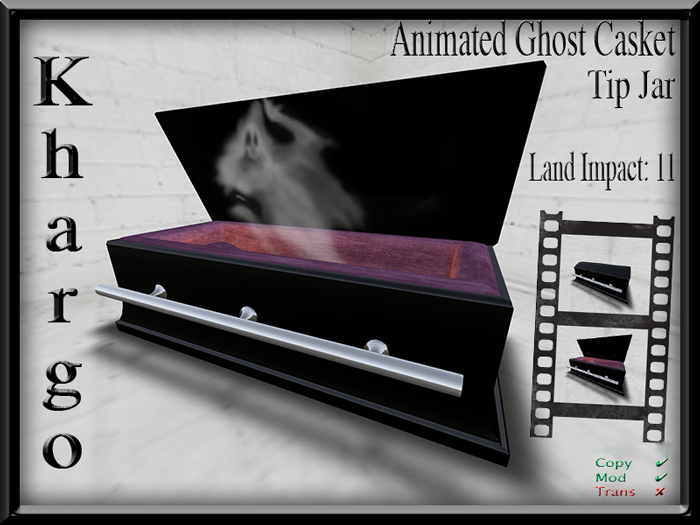 Our latest Animated Tip Jar is the scarey but fun Ghost Casket. When tipped, the casket opens and the ghost pops out. Boo! 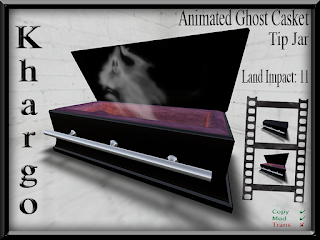 You can find the Ghost Casket Tip Jar on the Marketplace in both Personal and Log In versions or check it out at our in world store. 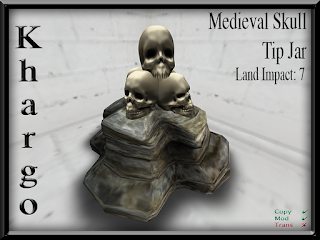 The spooky Medieval Skull Tip Jar is sure to put a chill down your spine! Check out the SL Marketplace for the Personal and the Log In versions. 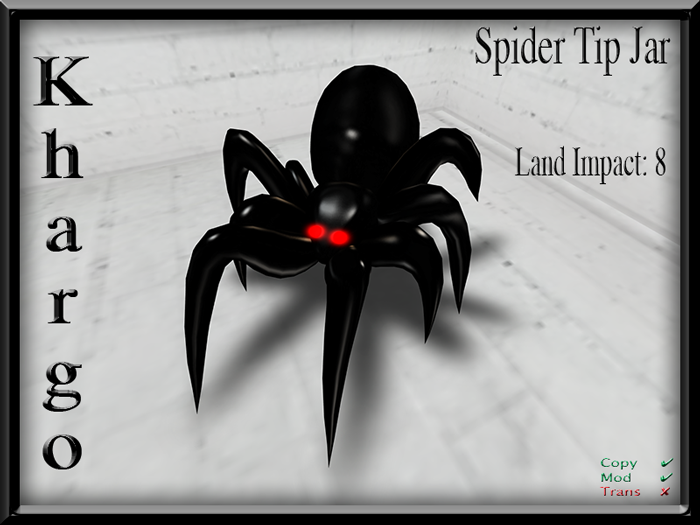 Arachnophobes beware! The creepy Spider Tip Jar could put you in a spin! As usual, find the Personal and the Log In versions on the Marketplace. If you are a member of our subscriber group, then don't forget to check the notecard coming your way over the weekend to see if you have won your choice of the new release Tip Jars!